Stonewall do seem to struggle when figuring out which campaigns to support, don’t they? No, they haven’t failed to support one this time. Instead they’ve decided to jump on last decades Jedi bandwagon by asking people to list their religion as “Lesbian”. This is a really bad idea for two reasons. Firstly, putting any religion in there will mark you down as religious, no matter how silly it is. It’s far better, as the Census Campaign have been urging people to do, to tick “No Religion”. And secondly, the reason for the Census Campaign in the first place is that previous censuses have returned bad data – and the ONS survey results suggest that a census sexuality question would fare no better. Yes, this is a bad enough idea that Amy Lame, who had the original idea, changed her mind about it. 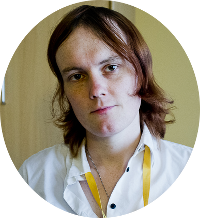 Stonewall says a journalist is Transphobic, then nominates them for an award.